The exhibition plan of the gallery focuses primarily on the presentation of contemporary visual arts, with works from the last few decades of the 20th century also included. First and foremost, the goal of the plan is to offer exhibitions of new media, such as installation art, video-art, digital art and, at the same time, traditional media, including painting, sculpture, graphic art, as well as posters and photography. 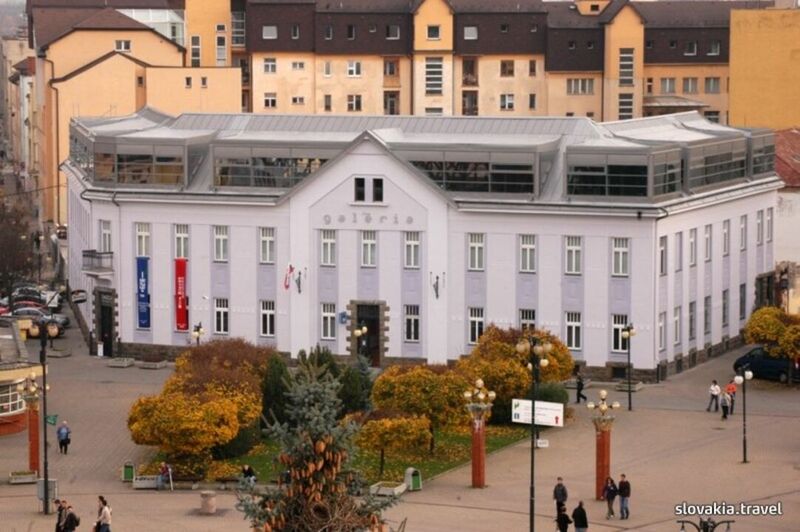 The exhibition premises of the gallery feature exhibitions of works of well-established Slovak visual artists as well as works of the young generation and starting visual artists. Annual curatorial projects, with several artists taking part, also play an important role in the gallery's plan. At present, a permanent exhibition of works of Vincent Hložník is open in the newly-reconstructed gallery premises in the attic.